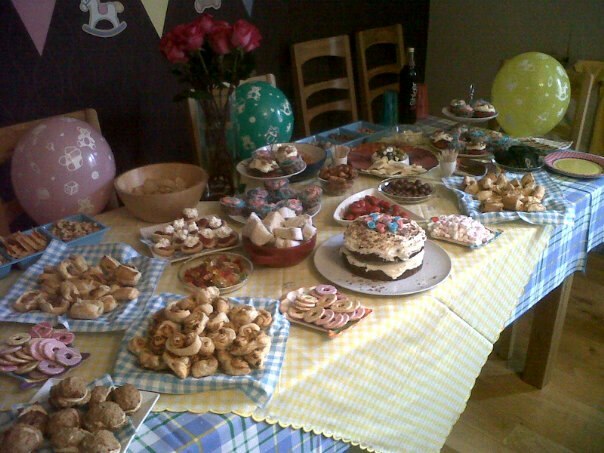 A wee while ago I helped host a friends baby shower. It was a lot of fun and I really enjoyed making lots of tasty treats for our ‘Teddy Bear’s Picnic’. For savoury food we had a selection of cheeses, meats, olives, tomatoes in a basil dressing and slices of fresh baguette for people to choose from. 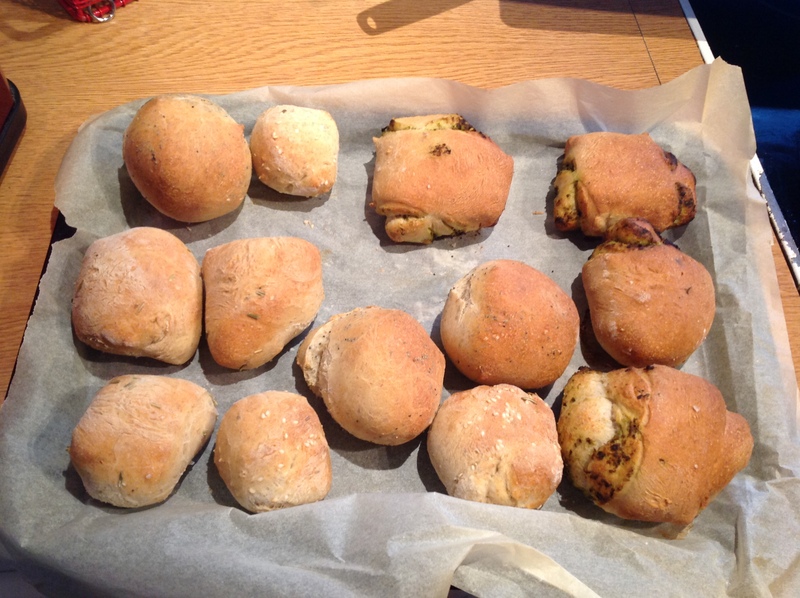 I also made my simple (cheats) version of sausage rolls and Rosemary and Pesto Palmiers. 1 x block of ready made puff pastry (about £1 in Sainsburys) Room temperature. Get your sausages an cut them open, peel off the skin and put the sausage meat into a large bowl and mash it up with a fork. Add your spices and tomato purée, season. Stir well and leave in the fridge whilst you get the pastry ready. Make sure your work surface is clean and spread flour over it, this will prevent the pastry from sticking. Roll out the pastry until it is about the thickness of £1 coin, then cut it into little squares – I got around 24 sausage rolls from 1 block but it depends on how large you would like them to be. Put some of the sausage meat mix into the middle, fold over the pastry, brush a little egg down 1 edge to seal. Leave it in the fridge to firm up for at least 20 minutes. Brush each of the Sausage rolls with the beaten egg (or a little milk) before baking in a hot oven for around 15-20 minutes until golden and crispy. Place on a cooling rack to cool before serving. My Sausage rolls never look perfect – I like to call them ‘rustic’ but they always go down well at partie and are great cold for picnics and a snack when wandering the hills. I adapted this from a recipe I found on the BBC food website, they used sun dried tomato but I love the taste pesto gives these little bites. I could quite easily eat them all, very more-ish! Make sure your work surface is clean and spread flour over it, this will prevent the pastry from sticking. Roll out the pastry until it is about the thickness of £1 coin. Spread pesto and sprinkle rosemary all over the pastry, ensuring to cover it all. Some sun dried tomato purée also works well. With the shortest end facing you, take both long edges of the pastry and roll them towards each other to meet in the middle. Brush a little egg down the centre to stick the two halves together. Leave in the fridge for at least 20 minutes to firm up. Once firm use a sharp knife to slice into pieces around 1cm thick. Place on a baking tray with the cut side facing upwards. Brush well with a little beaten egg. Bake in a hot oven for around 15 minutes until crisp and golden brown. Again these little treats are great for picnics and they are a nice side with cold meat such as salami or with soup on a chilly day.